An Intensive Acting for Camera course with award winning film director Graham Cantwell running over five full length days, spread across four consecutive weekends in Dublin. At the end of this course you take away a professionally produced scene for your new showreel (see trailer above, watch in HD). This is far and away our most popular course and is always a great favourite with participants! 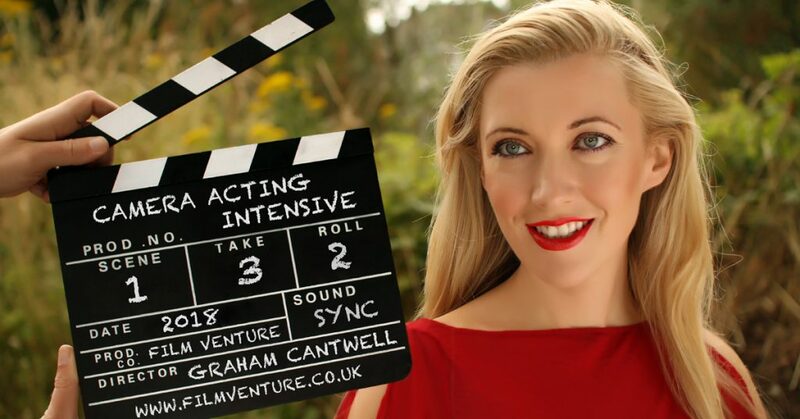 The Camera Acting Intensive is an Acting for Camera Course with a difference. This Intensive course covers all the basics of what you need to become a successful working film or television actor, plus as a significant bonus you finish up with a professional quality showreel scene – an essential tool for furthering your acting career. With an emphasis on practical scene work, the process of working intimately with a director and other actors is deconstructed and demystified. After four workshop days of intensive training and rehearsals, the final shoot day is spent filming bespoke showreel scenes on location. We always limit our group numbers to a maximum of 10 actors because it is important to us the workshops allow for specific, catered attention to each individual’s needs. The course is designed to refine your approach to working in front of a camera and will culminate in shooting your bespoke showreel scene, which you will receive a professionally edited, sound-mixed and colour-graded copy of for your showreel within a month of finishing the course. 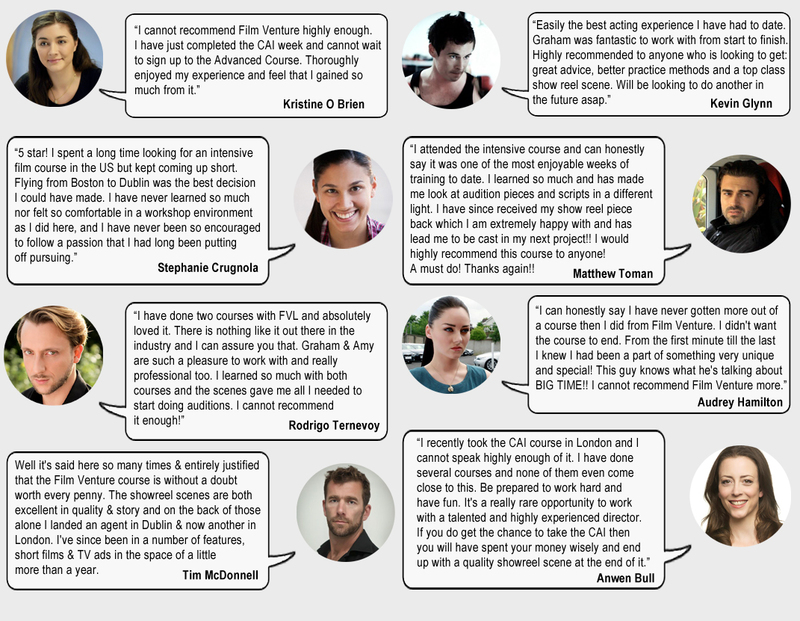 In 2009 Film Venture pioneered the idea in Ireland of not merely offering camera acting training, but of providing you the actor with a scene to take away to showcase your talents. The course costs €425 altogether. This price includes the creation and production of your bespoke showreel scene. A €180 booking deposit is required to secure your place on the course. Please note that while booking deposits are non refundable, subject to availability and a minimum 3 weeks notice you may transfer your deposit to reserve a place on a later course date should the need arise. The easiest way to pay is through Paypal by click the ‘Pay Now’ button above. The Course Balance of €245 is payable 5 days before the course begins (ie the Monday preceeding the first weekend workshop day). You are welcome to pay in installments prior to the course and we can accommodate bank transfers/deposits and payments by cheque if you prefer. Contact us if these options suit you. Email admin [at] filmventure.co.uk for details. Once you have booked you will receive an email with confirmation of your place within 24 hours, followed by your first monologue to prepare. NB The confirmation email will be sent to the email address associated with your Paypal account, so if this is not your primary email address please send us a message with your usual contact information.